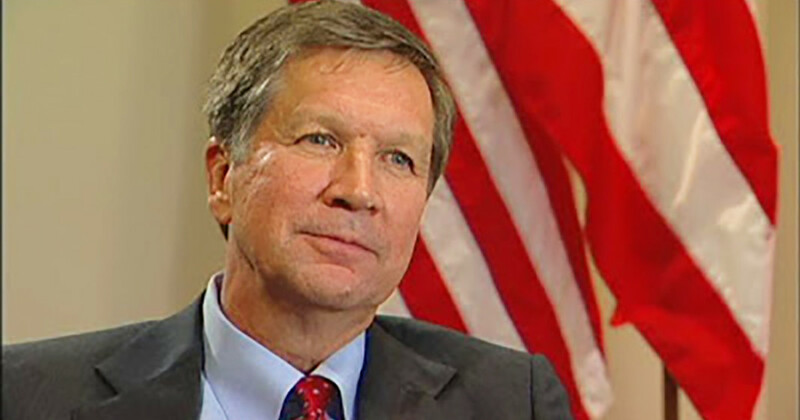 Ohio Governor John Kasich may be the only GOP presidential candidate who hasn’t gone completely insane in the wake of the Paris massacre; too bad he has zero chance at getting the nomination. Under the guise of protecting Americans, Republicans have gotten away with the most repugnant and discriminatory statements in the last week. None have been more opportunistic than Mr. Donald Trump who has actively come out in support of a national Muslim registry, passively suggested that Muslim citizens be forced to wear religious identification, and has repeatedly been in support of a giant, double walled border between the U.S. and Mexico. Gov. Kasich was asked during Sunday’s Meet The Press what he thought about Trump’s continued success in the polls. Watch the video to hear his frustrated response. We’re right there with you, Governor!